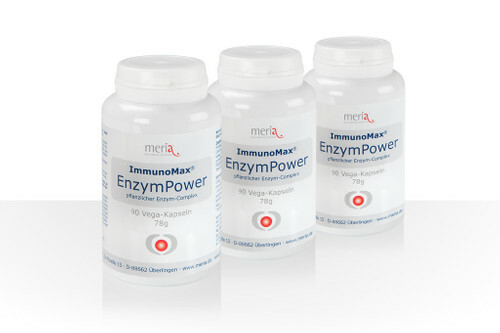 L-glutathione, enteric coated, has been specially developed for meria® in its unique combination of active ingredients on the basis of an expert opinion. 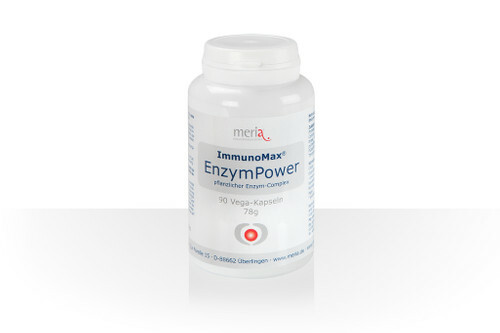 For an optimal bioavailability with orally administered glutathione, sufficient concentrations of the trace elements selenium and zinc are needed, once they activate the necessary enzymes. Furthermore, a combination with the antioxidant vitamins C and E is required, since the antioxidative mechanisms work together in the body as in an orchestra. Manganese is important for the antioxidative protection of cell components and acts via the activation of glutathione peroxidase in the presence of sufficient glutathione. Folic acid assists the performance of memory with increasing age, while vitamin B12 in sufficient concentration is, among other things, a precondition for the effectiveness of folic acid. In addition to supporting the bioavailability of glutathione, the vitamins and trace elements contained in the product have a number of positive effects on your health, read here. The enteric coating of the DURAMENTAL® GLUTATHION tablets is another important element for the support of bioavailability with an oral intake: the glutathione contained is only released in the duodenum and not already broken down by gastric acid. Glutathione is permanently needed by the body cells. If the supply with glutathione does not meet the individual requirements, a dietary supplementation with glutathione is recommended. Based on experience, it should be taken every day and on a long term basis. DURAMENTAL® GLUTATHION contains no gluten and no lactose. Food supplements. 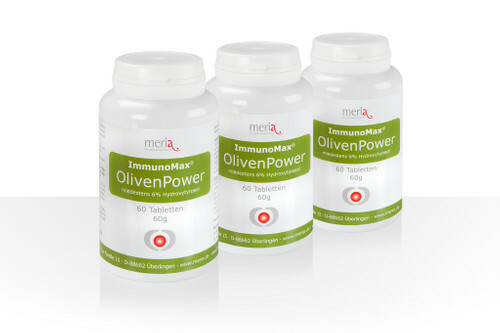 All oral meria® products have the certificate of marketability, issued by a sworn food expert, and are fully marketable in accordance with German and EU food law. An optimal dietary supplementation is achieved if you take 2 tablets a day before a meal with plenty of water. 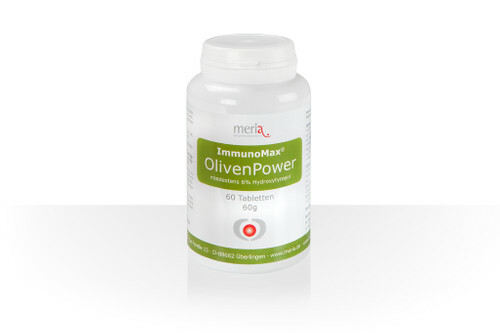 One tablet contains 300 mg of (active) glutathione. The indicated dose should not be exceeded. * recommended daily intake according to RDA. Glutathione in reduced form (GSH), L-ascorbic acid (Vitamin C), D-alpha-tocopherol (Vitamin E), Zinc mono-L-methionine sulfate, Manganese-bisglycinate, Folic acid, L-selenomethionine, Hydroxocobalamin (Vitamin B12). Filler medium: Cellulose microcrystalline, calcium phosphate, rice starch. Parting agents: Magnesium salts of food fatty acids, stearic acid, silicon dioxide, compritol (diglyceride of behenic acid), dehydrated cottonseed oil, talc. Binding agents: Polyvinylpyrrolidone, HPC hydroxypropylcellulose. Contains no gluten and no lactose.